From the main Ribbon Toolbar, click 'Settings' -> 'Profile'. Select 'Accounts' and click 'New'. Set up a Outlook Sync account in InfoFlo. 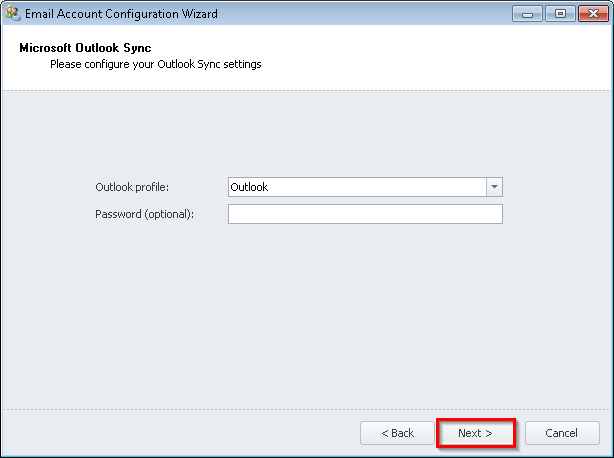 To do this, select 'Microsoft Outlook (Sync)' and click 'Next'. 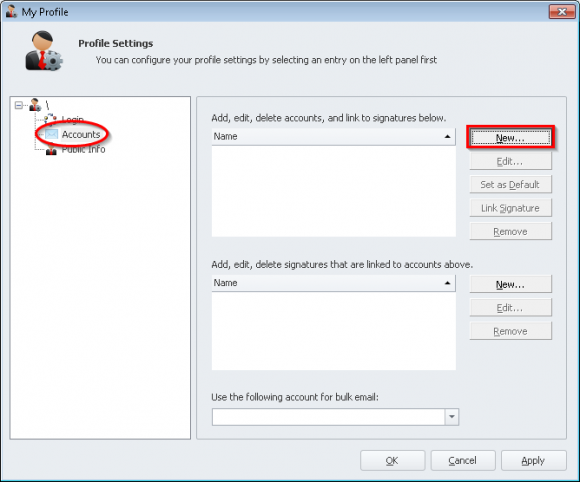 Select your Outlook profile and click 'Next'. 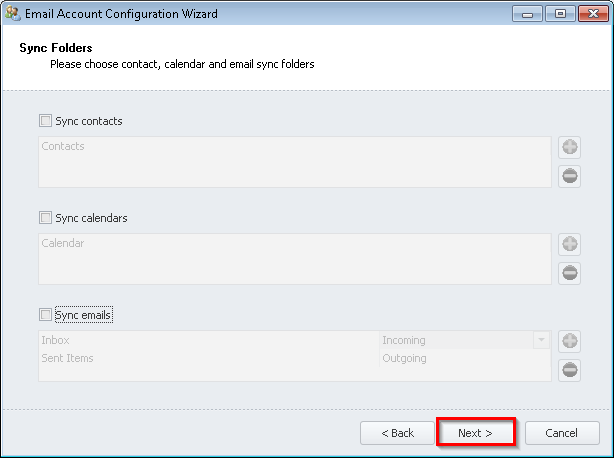 Optional: Uncheck all sync; The Outlook email editor can be used without having Outlook Sync enabled. Click 'Next'. 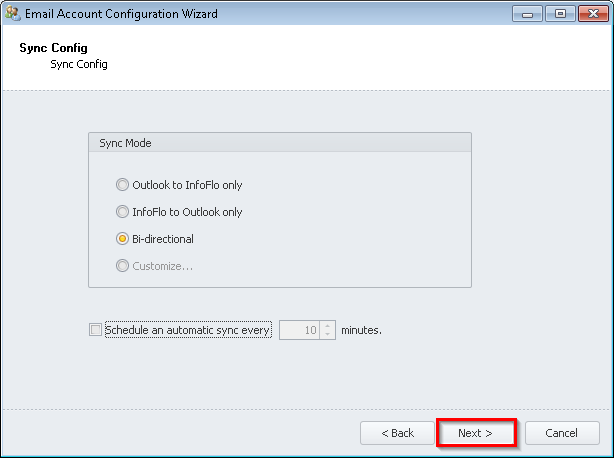 Uncheck 'Schedule an automatic sync every x minutes' if you do not wish to syncronize Outlook with Infoflo. 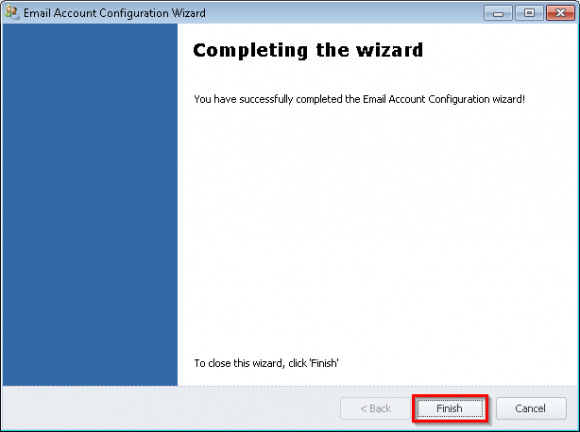 Click 'Finish' to complete the wizard. 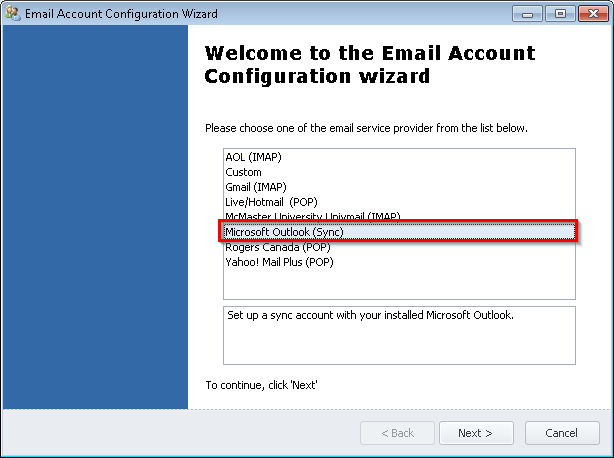 Ensure that Outlook is a paid and registered version (not a trial version). Ensure that the computer is patched with latest Office and Windows updates. Outlook must have an account configured that is able to send emails (SMTP or Exchange). 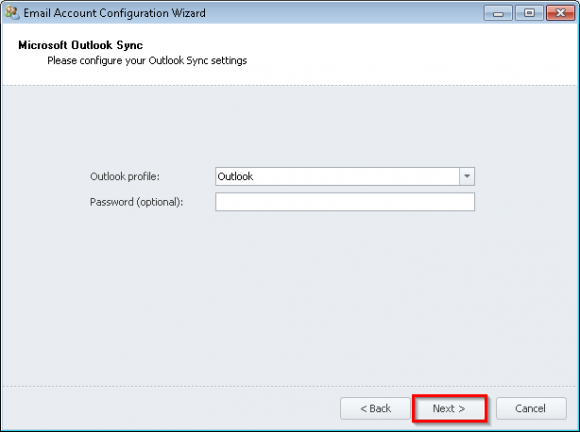 Ensure that the email address for Outlook sync account is the same as the Outlook account email address.